Why major in Earth Sciences? Students in the Department of Earth Sciences learn about the minerals, rocks and waters that make up the earth, and the processes that shape the earth from deep in its interior to the surface. Earth science applies the basic sciences of physics, biology, chemistry, and mathematics to understanding processes that have shaped the earth throughout the 4.5 billion years of geologic time. Earth scientists combine field investigations with laboratory experiments and theoretical studies to understand the physical, chemical and biological processes that govern the behavior and interactions of complex earth systems. Some areas of earth science focus on natural hazards such as earthquakes, floods, landslides and volcanic eruptions that affect humans. Other subdisciplines investigate how humans alter the earth’s environments, where we pollute rivers and ground water, cause rapid erosion and landslides, attempt to re-engineer rivers and shorelines, and alter the earth’s atmosphere, oceans, and global climate. Earth science research also includes study of the deep earth to understand processes that drive the motions of tectonic plates and generate the earth’s magnetic field. Visit the UO Catalog for a list of faculty members, degree options, and course offerings. Students who major in Earth Sciences choose one of four subject areas, or tracks, to complete requirements for a Bachelor of Science Degree. The tracks (Geology, Environmental Geoscience, Geophysics, and Paleontology) provide students with a focused curriculum in their chosen subject area. Additional information on each of the degree tracks can be found here. Career Opportunities are plentiful as natural resources become more scarce and the need for scientists trained in the earth sciences increases. Additional information on potential career paths is available here. Questions about the undergraduate program or advising appointment requests can be emailed to our undergraduate advisors. Advisors may also have drop-in hours – please stop by the main office in 100 Cascade for current term availability. High school students planning to major in geological sciences should take courses in algebra, geometry, trigonometry, geography, and science (physics, chemistry, biology, or earth science). 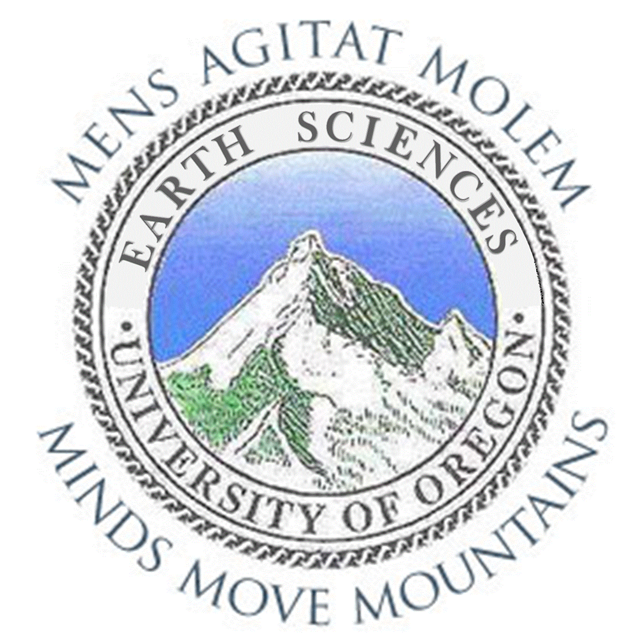 Students who transfer to the UO to major in geological science after two years of college work elsewhere should, ideally, have completed a year each of general chemistry, general physics, calculus and introductory geology with laboratory. Form to Add/Drop Earth Sciences as a Major/Minor (You must login with your DuckID using the link in the top left corner of this page).